Hallowe'en is right around the corner, and with hundreds of spooky, silly, creepy themed books to choose from, it's a great time to head out to the library for a story session. You probably have a few classics in mind, and your favourite characters likely have Hallowe'en stories on offer, but here are a few can't miss titles for the season. What's it About? 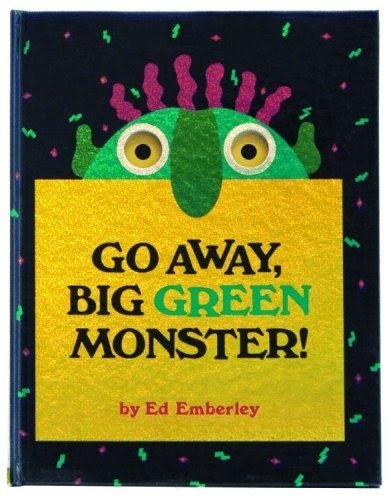 Page by page, the narrator describes a big, green monster as the parts appear. Once it is fully revealed, he takes control and sends the scary monster away. What Makes it Great? Visually, this book is tons of fun. The cut outs allow for the perfect pacing, and helps to introduce something "scary" in a way very little kids can handle. In the end, the reader gets to tell the monster to "GO AWAY," which is a very powerful feeling for someone very small. Great to prepare for the sights and sounds of Halloween. What's it About? Gus doesn't feel like doing much after his dog Ella dies; not even dressing up for Halloween. 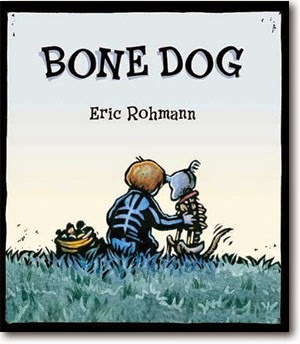 But when Gus runs into a bunch of rowdy skeletons, it's Ella--his very own Bone dog--who comes to his aid, and together they put those skeletons in their place. What Makes it Great? This is a sensitive story about friendship and dealing with loss, but it's also a fun Halloween romp with beautiful illustrations. An older child will appreciate the different levels of this story. What's it About? Stanley Nudelman buys a "creepy-cute" stuffed animal from a scary neighbour's garage sale, thinking it is a harmless purchase. Not so much. Over night, the toy turns into an undead monster who, when unleashed at school, starts turning everyone into zombies. It's up to Stanley to fix the problem he's created. What Makes it Great? This books is hilarious. The pacing of the action is just right for the reluctant junior reader and the subject matter is right on trend. 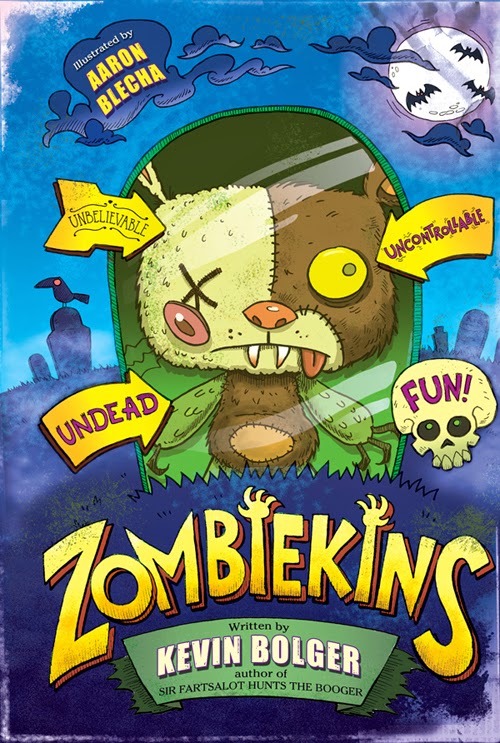 For kids ready for chapter books but hesitant to pick up the books you remember from childhood, Zombiekins is a great pick.